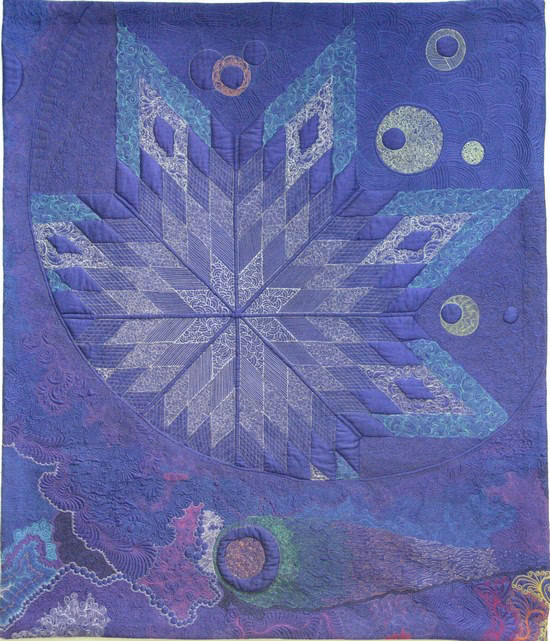 Please join me in welcoming today’s guest blogger Teri Lucas as she shares a few of her amazing quilts, one of which ended up as the cover art of a CD. How awesome is that? 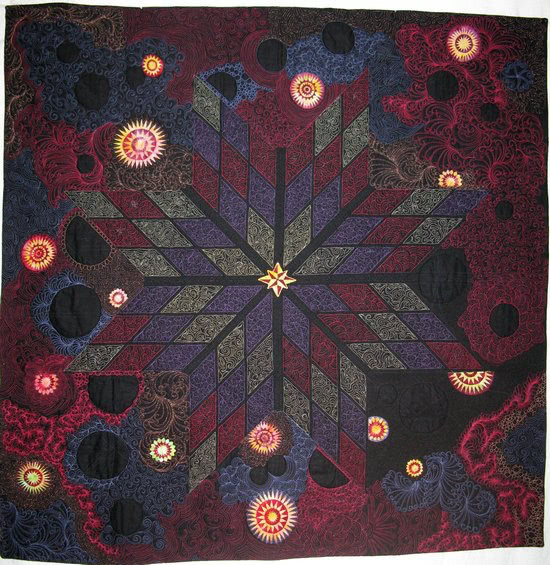 Thank you, Michele for asking me to write a guest blog for the Quilting Gallery. 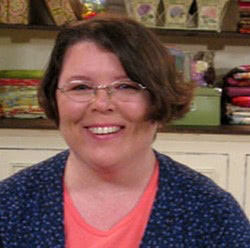 My name is Teri Lucas I’ve been a quilter for over 17 years. I have the privilege of teaching, writing, and have been a guest on Quilting Arts TV (episode 503). I’ve quilted for Sarah Vedeler (Fons & Porter Nov/Dec 2010) and Jeanie Sumrall-Ajero (Machine Quilting Unlimited). This July I’ll be teaching beginner and advanced machine quilting with the American Quilt Society in Knoxville, TN. I don’t know about you but I dream about quilts. I will sometimes wake up with a quilt design floating through my thoughts as I wake. Sometimes the image is strong and clear and waiting for the moment when I can bring it to cloth, sometimes the images are as fleeting as breath in and out having given all it can for this moment. I get excited and energized when I wake up dreaming quilt design. Taking up sketching & doodling has helped hold onto the quilts in my head; however I much prefer to work on a quilt intuitively – particularly when I’m working on a quilt like "Twilight in the Bronx" or "Moon Over Manhattan". "Twilight in the Bronx" started with the thought, "what would happen if I started playing with thread – making that the fabric of the quilt?" This thought lived in my head for a few weeks leading up to my 40th birthday when my sisters gave me some batik fat quarters and thread. 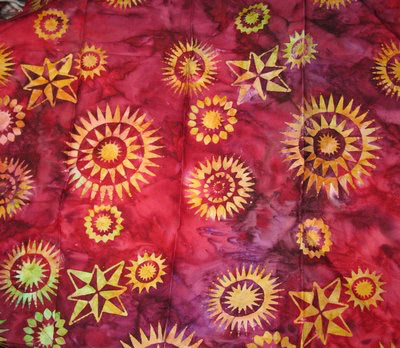 One of the batiks set the rest of the design for me; I would draft an 8 pointed star on black fabric and incorporate some of the motifs from the batik as fused appliqués and the rest would be thread work. "Twilight in the Bronx" was quilted twice. The first time I made it about 2/3 of the way through with highly detailed quilting using black thread on the black background. I brought the quilt to mini-group where one of my friends pointed out that with the black on black work currently through the entire quilt I was hiding the detail work of the quilting. That got me thinking so when I got home I took out my trusty seam ripper and spent hours taking out most of the black quilting. I ordered thread from my local quilt shop and began the quilting process all over! In total, "Twilight in the Bronx" took about 40 – 45 hours to make. "Twilight in the Bronx", has another life, one that I would never have imagined. 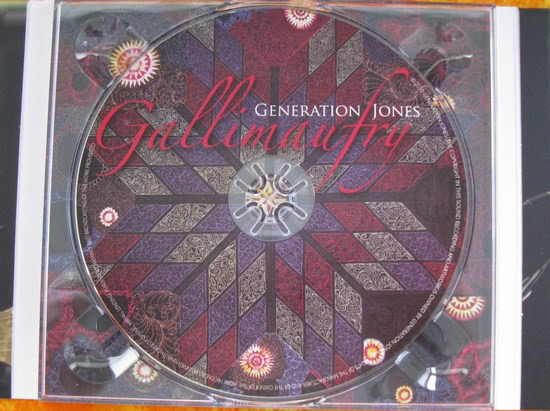 An image of "Twilight in the Bronx" is cover art on the first album of Generation Jones’ CD "Gallimaufry". When Geoff Carr first commented on my blog that Generation Jones would like to use "Twilight" as cover art on their first CD I thought the comment was some kind of spam and ignored it. Geoff was persistent though contacting the owner of one of the blog rings. A few weeks and several emails later we had the details worked out. My husband did a photo shoot and I sent the images off to Geoff. Several months later the CD arrived in the mail. To use Geoff’s word, I’m chuffed! Now that is beautiful and a lot of work! Ripping out all the black stitching must have taken quite a while. Congrats on the CD cover! You totally are a rock star of quilting! I thought that I could quilt, but her quilts make me look like a novice!! They are absolutely beautiful!! Teri, beautiful quilts and interesting blog. Michelle – What are you trying to do to us? I already spend too much time looking at all the new blogs you showcase. You did it again with another great blog.